For the first time, the MEGA OPEN Race took place in the summer and as a night race, and is not as usual the final of the MEGA Euro Trophy, but exactly the half of the season. 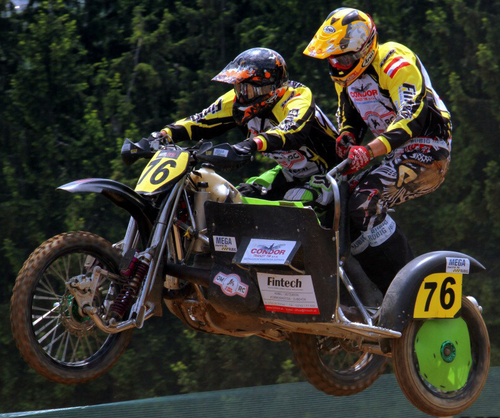 Pictures from Wackersdorf can be found here. 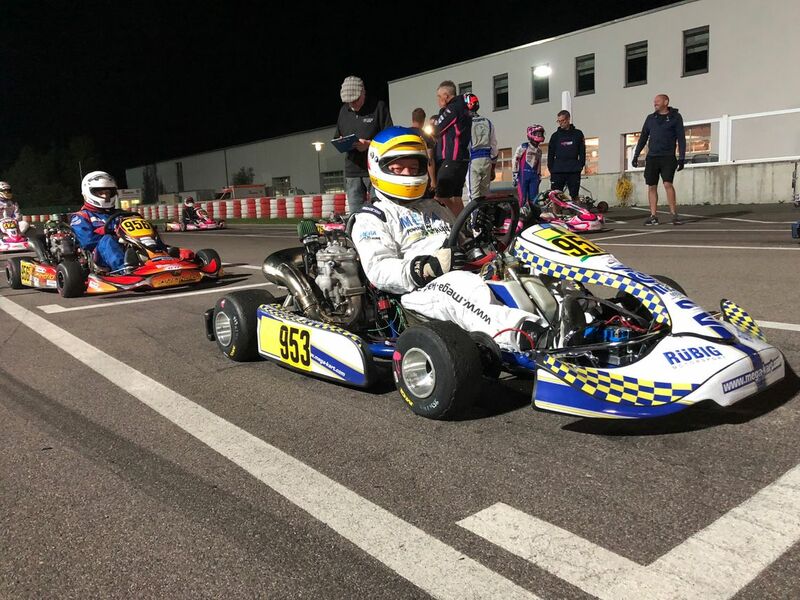 In the night of Saturday, June 30th to Sunday, July 1st, this year's MEGA OPEN will be held as a night race in Wackersdorf as part of the KTWB. 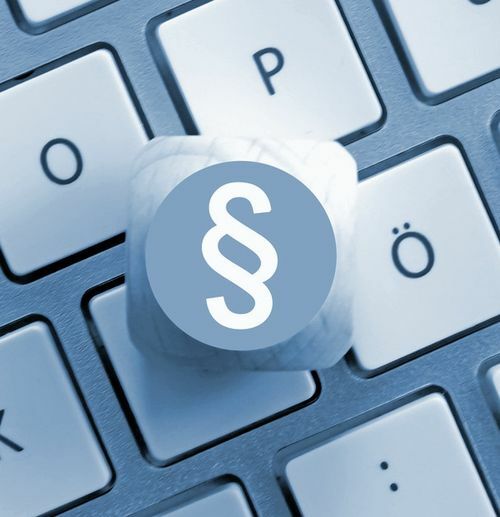 Please send your registration or questions to Nils Henkel maranello.friends[at]googlemail[dot]com. We wish exciting races and a successful race weekend! For the perfect start to the 2018 season, all MEGA owners have the opportunity to train in Wackersdorf on Saturday, April 14th, in the run-up to the KTWB Trophy. The first race of the KTWB Trophy will take place on Sunday, April 15th. There is the possibility to use this race as a test race for the MEGA Euro Trophy 2018. The I.G. MEGA Europe announces the MEGA Euro Trophy 2016. Please find the announcement here! 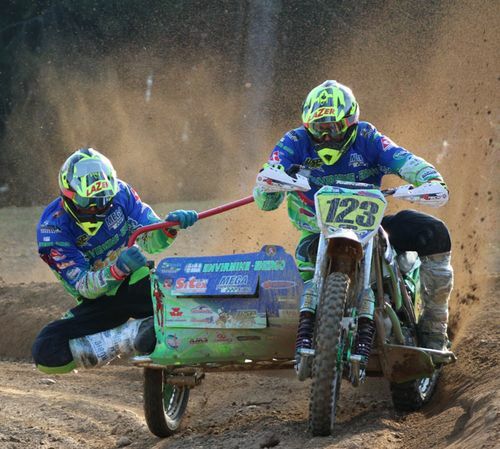 The highlight of the MEGA Euro Trophy 2015 will be held in Wackersdorf again, as part of the KTWB. Great prizes will be awarded amongst all participants! 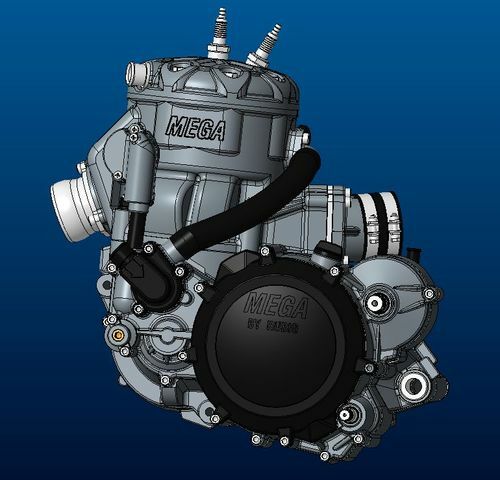 Only constant improvements make progress - so even with our MEGA engine. 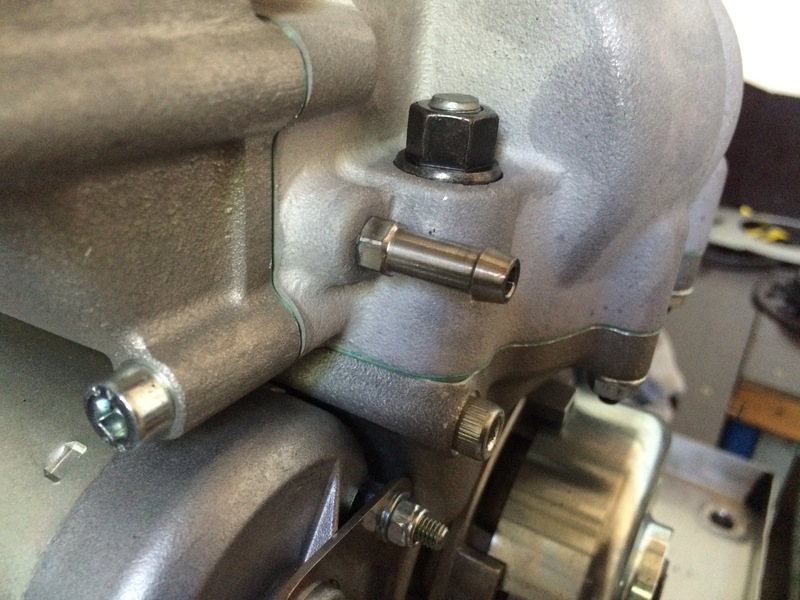 A series of tests both on the test bench and on the karting track has shown that the pulse connection of the carburetor can be optimized. Especially in the middle and high speed range is due to a change an improved drivability. The instruction for exchange can be found here. The MEGA Euro Trophy enters its second round. The first race will take place in the course of the Dai Trophy on Sunday, 1st of March 2015 in Bolzano. Please find the announcement of the MEGA Euro Trophy 2015 on our website or request it at maranello.mega[at]googlemai[dot]com. The application form and more information on the race in Bolzano can be found on the website of the organizer. We wish you a successful start to the 2015 karting season! König Karting, the swiss MEGA dealer, is presenting on Saturday, 26th of April from 10:00 - 16:00 o´clock at his spring exhibition everything on the subject of karting. 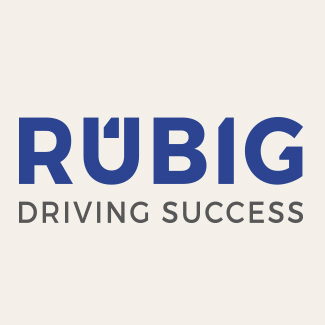 On Friday, 9th of May, a RUBIG MEGA test day will be held on the kart track at Sundgau, 1 Voie Romaine, 68640 Steinsoultz. 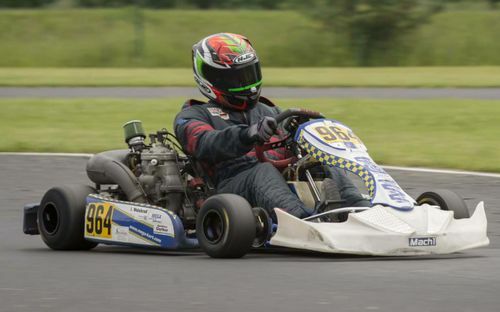 You have the possibility to try this powerful kart and convince yourself of it's MEGA speed! 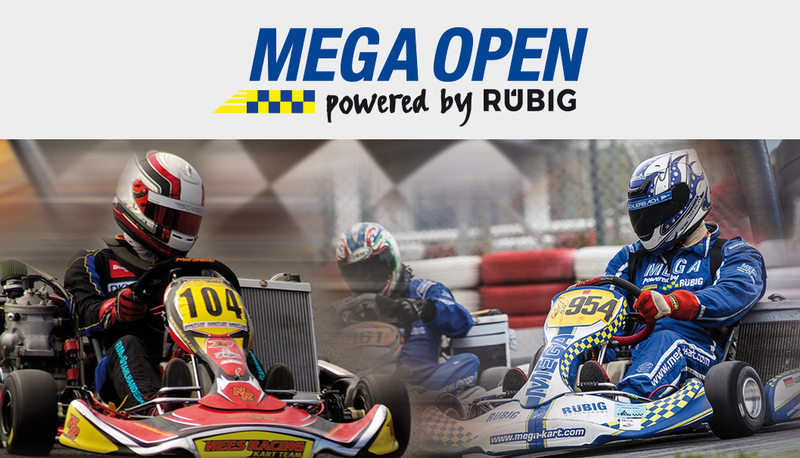 During the training for the "Mostviertler Rennkart Challenge 2014", drivers will have the opportunity to convince themselves of the unique MEGA speed of the powerful RUBIG MEGA karts. 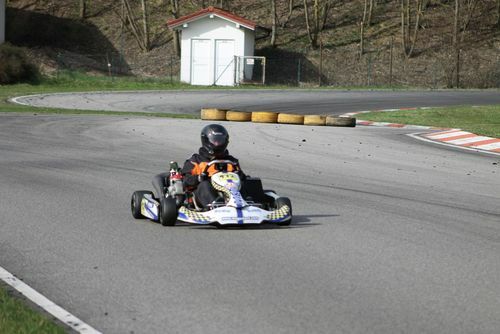 Our MEGA dealer in Austria, Gerd Weingartshofer, is opening his new kart shop at Gewerbepark 29, 7471 Rechnitz. 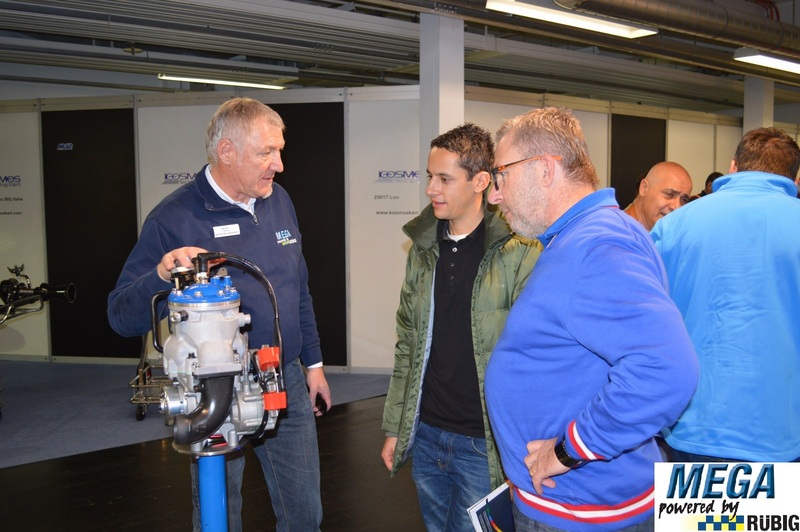 At the kart2000 at Offenbach, an international kart exhibition in Germany, RUBIG presented its powerful MEGA engine. 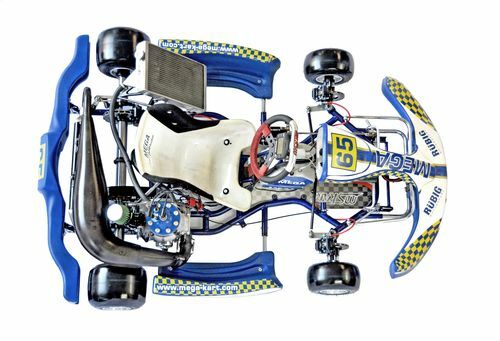 Simultaneously, the MEGA rear axle was introduced as a product that guarantees more safety in karting. 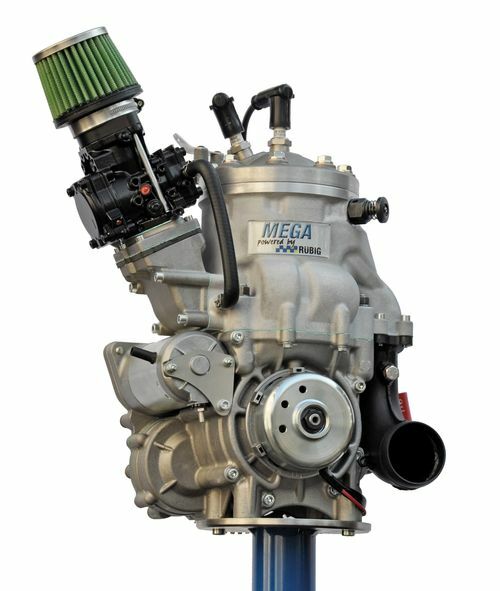 In the course of the fair, the new MEGA Race clutch was introduced, which offers a significantly longer durability. 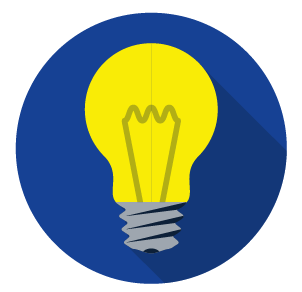 Great interest in this innovation was shown not only by the former Formula 1 driver Partick Friesacher, but also by quite a few prospects from Cyprus, France, Luxembourg, the Netherlands, Belgium, Great Britain, Ireland, Spain, Sweden, Switzerland and Germany. Furthermore, MEGA Kart guarantees an improved driving pleasure with additional technical innovations in 2014, like the new sprocket, the new exhaust support or the decompression release spring. As part of the exhibition, 5 MEGA rear axles were raffled at the RUBIG booth. Congratulations to the lucky winners!